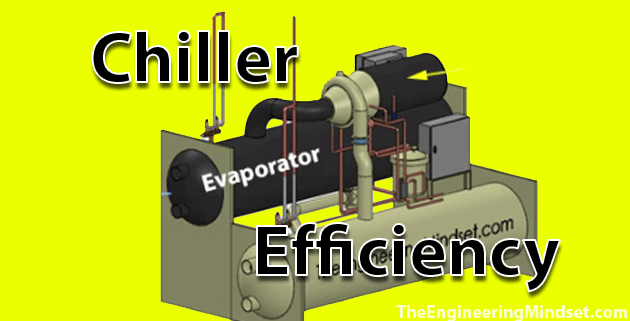 How to calculate the efficiency of a chiller. Chillers are one of the largest energy consumers within a building and this has a big impact on operational costs. Therefore its important to monitor your chillers to asses the efficiency of the system and ensure optimal performance. 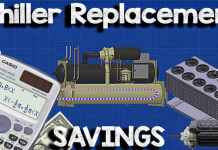 So in this article we will look at how to calculate the efficiency of a chiller. Need to learn this in a hurry? Scroll to the bottom to watch the video tutorial. 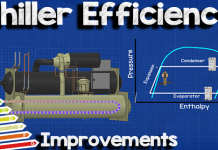 Calculating the efficiency of a chiller is fairly simple. It is measured in “COP” which stands for Coefficient Of Performance. The Coefficient of performance is just a ratio of the refrigeration effect produced by the chiller against the amount of electrical energy that went into the machine to produce this. Both units should be measured in Kilowatts (kW) lets have a look at how this is achieved. Take for example a chiller which is producing 2,500kW of cooling or 8,533,364BTU/h in metric units. The electrical power demand of the chiller to produce this is 460kW. 2,500kW / 460kW = 5.4 so the COP is 5.4. 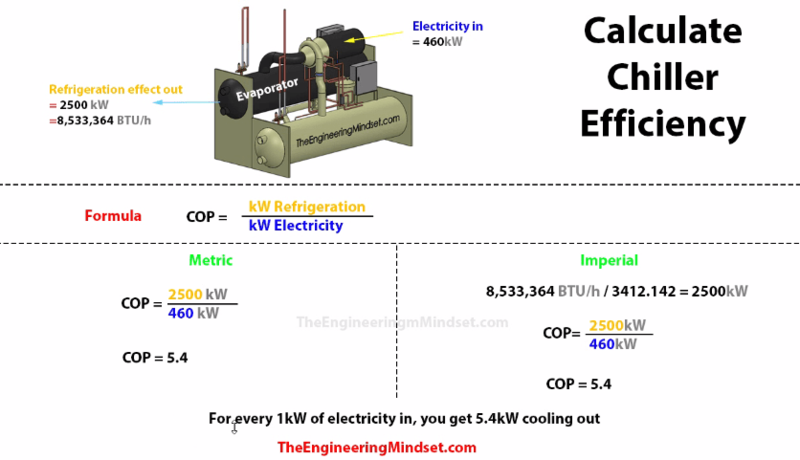 This means that for every 1kW of electricity you put into the machine, you will produce 5.4kW of cooling. 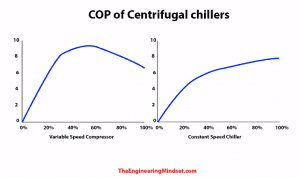 Conventional single speed chillers will typically reach their highest COP at, or close to, maximum load but most chillers will run at part load 98% of the year, if this is the case the you should contact a specilist to see if a variable frequency drive (VSD) can be retro fitted to the motor controls as this will reduce the rotation speed of the compressor which in turn decreases the electrical demand and increases the COP at part load. 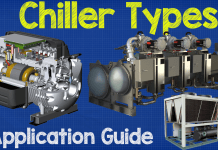 How to calculate chiller design. Nice your page & thanking you all. Please could you tale me an answer about chiller compressor(screw type) part load value for compressor electrical power formula/calculation? it is very nice, and helps to write manuscript in chiller .